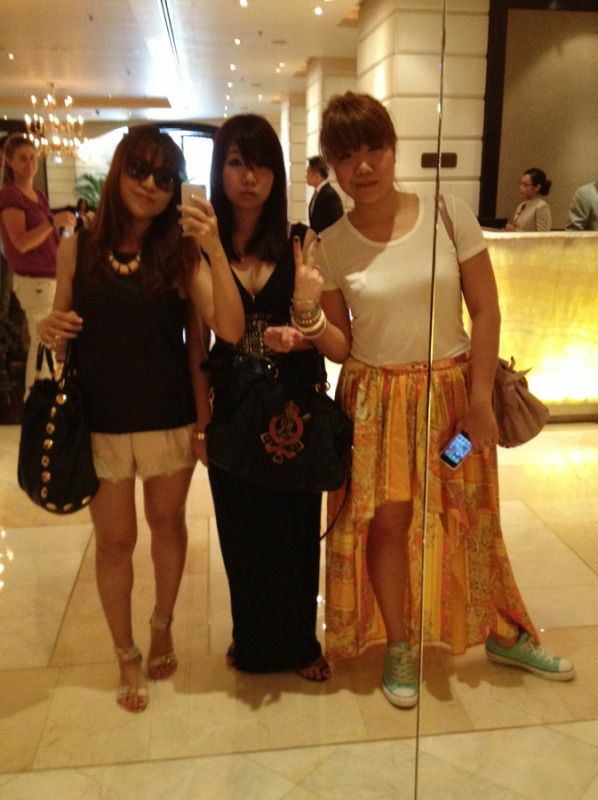 Anyway, just a few snapshots of us each day in the hotel lobby! Me wearing sneakers for the first time in a long long time, and Jing in AZORIAS spiked dip hem top and AZORIAS tropical shorts (coming soon). Night outfit for beer factory! 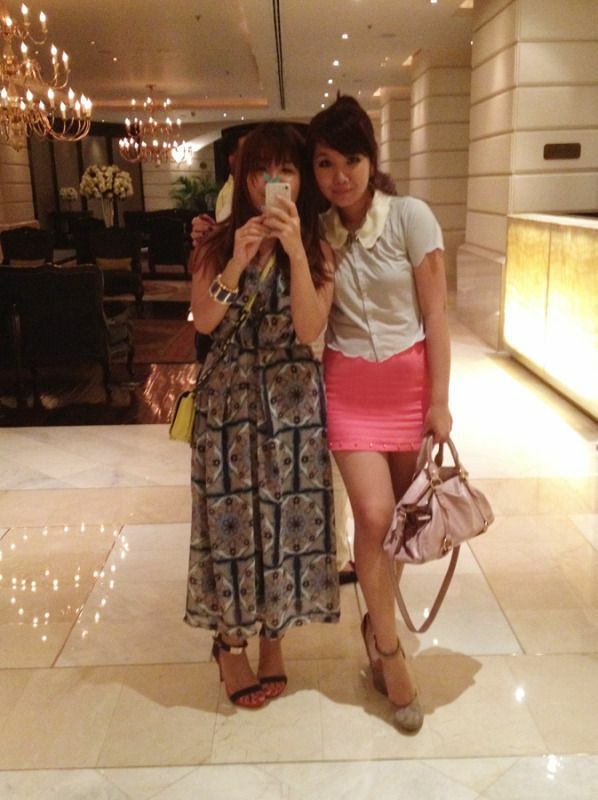 Am crazy over scarf prints, hence the scarf print maxi dress for me, and Jing was wearing pink studded skirt from AZORIAS (coming soon). I am wearing new Céline sunnies! Jing in a jumpsuit and Teeny sharing my love for scarf prints too! This picture was taken after my family had to pry me away from my bed wtf. 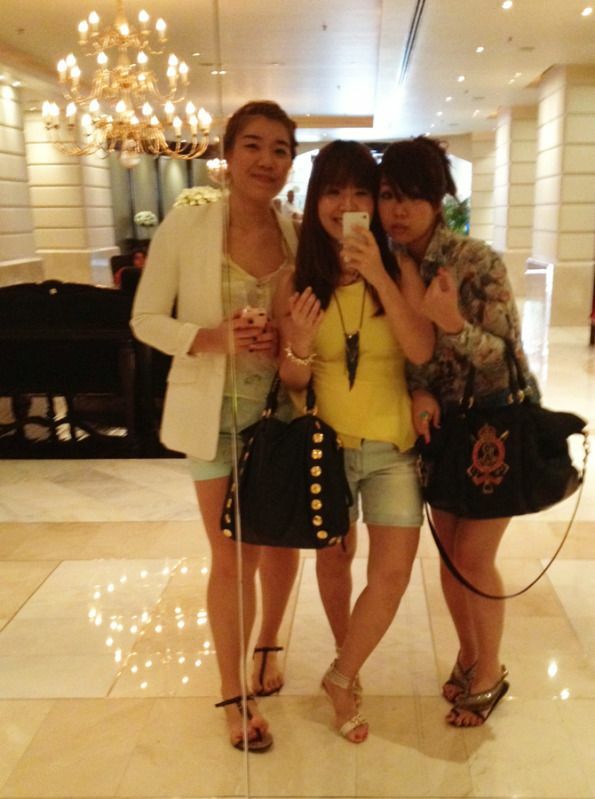 I was in AZORIAS neon yellow peplum top, and Teeny in pastels and Jing in new shirt from Bangkok. love that pink skirt Jing wore! please make it available soooon! Did you mention that i'm always in dark colours because of my pink sweat WTF! 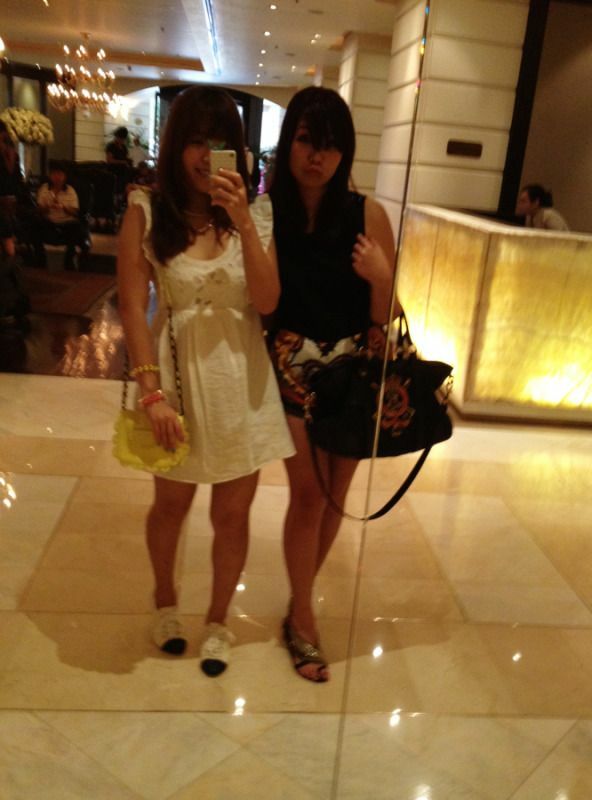 i like your white lace dress in your first picture:) looks really sweet. where did u get it? thanks!